We just couldn't help ourselves. As if the first time wasn't enough. If you didn't manage to catch it, Take Me High returns to Flatpack screens this April. 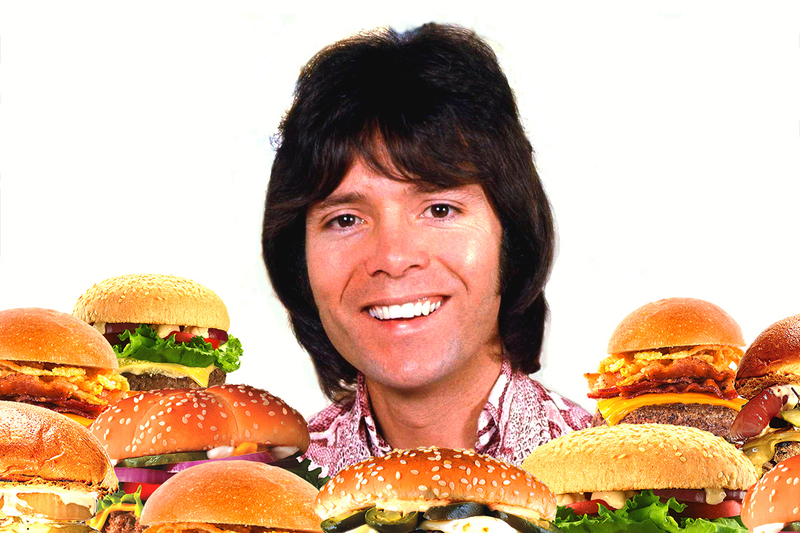 You can relax in a stylish deck chair, munch on a 21st century Brumburger, and bask in Sir Cliff's sultry tones and gleaming smile. To get you warmed up, writer Catherine O’Flynn returns to 1973 and discovers that this neglected musical was strangely prophetic about Birmingham’s future. Take Me High is a cinematic love song to Birmingham. And despite being the one and only exemplar of that particular genre it’s a film that even natives of the city find somewhat baffling and embarrassing. A minor footnote in Sir Cliff Richard’s career, unloved and overlooked by even his keenest fans, the film is an intriguing artefact that has proved surprisingly prescient in its portrait of the city. Even by the eccentric standards of the early 70’s British film industry, Take Me High is an oddity, attempting as it does to combine light musical comedy with the world of local government contract procurement processes. Sir Cliff plays Tim Matthews, a merchant banker who instead of being posted to New York is sent to the company’s Birmingham office. Matthews gets embroiled in a power struggle between the left wing Council leader (George Cole) and an aggressively capitalist local businessman (Hugh Griffiths), before deciding to set up a hamburger restaurant called ‘Brumburger’. The direction could be fairly described as uneven. George Cole’s straight-laced depiction of Bert Jackson appears to inhabit an entirely different film to the Bunuel-esque scenes of Sir Harry Cunningham and guests opening fire on a television set. Presumably Cliff’s charisma was meant to pull everything together, but this was made impossible by his role. Speaking some years later about his film career, Richard said, ‘how many times can I go and be the leader of a youth club?’ The character of Tim Matthews was certainly an attempt at a ‘grown-up’ role: the kind of high-flying businessman who buys his girlfriend a food processor as a gift; has a built-in electric razor in his Mini; and wears a velvet suit like a proud teddy bear going to his first party. Yet despite these winning attributes Matthews is remarkable for his sheer unlikeability; inexplicably pleased with himself, unnecessarily combative and singularly unable to run alongside canals in any kind of dignified manner. That he sings this on the roof of his Mini, in the middle of Inner Temple Gardens, whilst having a shave, makes the scene no less impenetrable. We first glimpse Birmingham as Richard drives along the Aston Expressway: ‘Just as bad as I expected. Even worse. But I’ve got to face it. Face Birmingham.’ But despite his character’s misgivings, it’s apparent that Birmingham’s shiny, modern backdrop was intended to frame Richard as contemporary and relevant. Take Me High has several lengthy outdoor location sequences whose only purpose seems to be to set Cliff in the context of the city’s iconic new landmarks. He skips down the steps of John Madin’s library complex; he strides purposefully along a pedestrian walkway over the roaring six-lane Queensway; he speeds along the canal in a hovercraft. 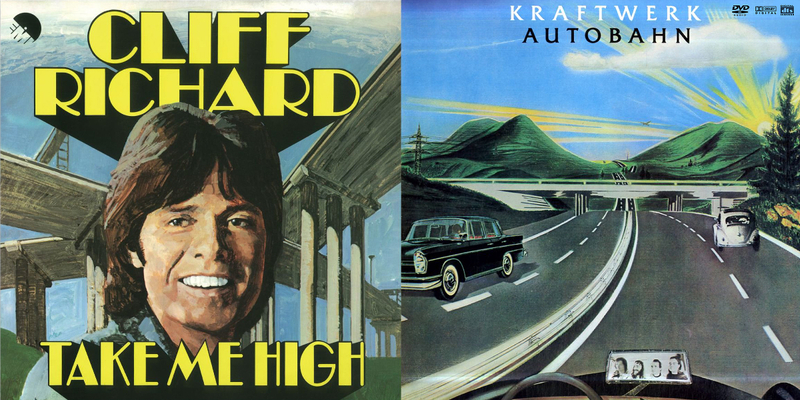 Predating Kraftwerk’s Autobahn by at least a year, Take Me High’s LP cover superimposes Cliff’s head against the magnificent newly-completed Spaghetti Junction. But the ‘Concrete City’ failed to boost Cliff’s career and was itself soon judged as dated and ill-conceived as Cliff’s lace-up denim jacket. The film serves as a memorial to many of the landmarks it featured. The Brutalist library, just a few months away from opening when the film was made, is now a pile of rubble. If Take Me High failed to anticipate how briefly concrete would reign, it was prescient in foreseeing which direction the city would turn next. When Birmingham wanted to shake off its concrete-and-cars reputation it looked to its canal network to provide a new narrative. The redevelopment of Brindley Place took place in the early 1990s but Cliff had started the whole process off almost two decades earlier. Posted to a new city, Cliff’s character Matthews is not the kind of guy to trog around estate agents windows looking for new digs. Instead he indulges in a little psychogeography, folding a map in quarters and deciding the intersection is where the energies are right to base himself. This takes him to Gas St Basin, where he buys a narrowboat, turns it into a swanky bachelor pad, and thereby kick starts the entire process of repurposing the city’s industrial heritage for leisure use. Later he bases his Brumburger restaurant at Water’s Edge, the exact scene of the very first phase of the Brindleyplace development twenty years later. And the Brumburger itself is prophetic too. Birmingham’s woeful culinary reputation of the early 70s is reflected in the film. As one embittered, inexplicably bare-chested chef declares: ‘You can fool anyone in this Godforsaken fish and chip town…Just like every other café in Brum, fobbing people off with third-rate frozen food.’ Birmingham has since reinvented itself as a gourmet destination endlessly banging on about its Michelin stars, but yet again the city has Cliff to thank for this rebirth. After a disappointing takeaway burger, Cliff and girlfriend Debbie Watling invent the gourmet burger: ‘Made from fresh ingredients, locally bought and prepared and cooked immediately’. In the film the opening of the Brumburger restaurant is marked with an enormous parade, with marching bands and thousands of frozen-food-eating Brummies staring on open-mouthed. 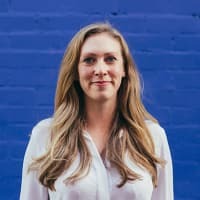 Now there are simply too many gourmet/artisan/dirty burger pop-ups opening every week in Birmingham to each warrant their own parade, and each new Brumburger-style offering is celebrated with lurid Instagram portraits instead. Take Me High is a mind-bogglingly strange film. A critique of rapacious capitalism. A hymn to a second city. A vehicle for a flagging pop star. A film about a hamburger. It’s a musical without hits and a comedy without jokes. It’s one of a kind. 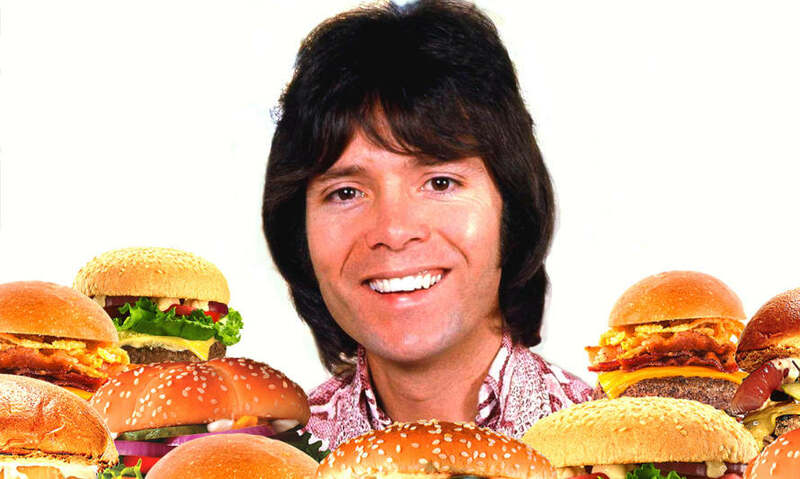 It failed to successfully repackage and rebrand Cliff Richard but it was years ahead in its imagining of a repackaged, rebranded post-industrial city. 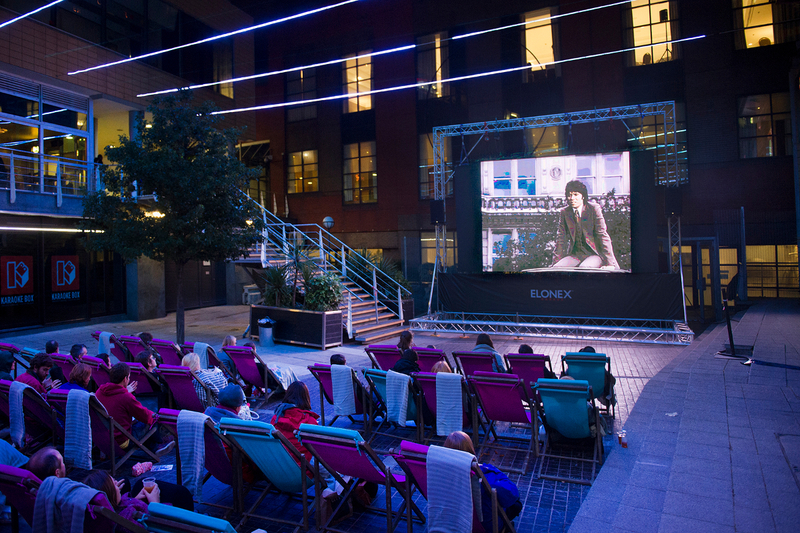 Take Me High is showing as part of our Gongoozling Day Open Air Cinema on Saturday 8 April, 17:00 - 19:00 in the Rum Runner Yard at Regency Wharf.